Brighton residents! Have you ever struggled to lift a sofa up several flights of stairs during a house move? Or maybe you’ve been stuck in the communal stairwell trapped between a wall and a washing machine trying to get round an awkward corner? – if so, you need struggle no more, as High Reach Systems furniture hoist company can help. 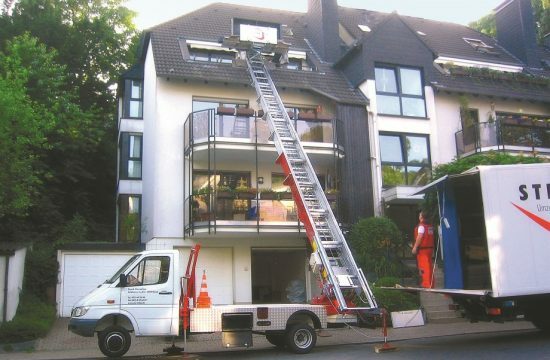 We assist both individuals and furniture removal companies to lift heavy and bulky items both into and onto high spaces using external hoisting systems. We have a variety of furniture hoists for hire to save you time and effort, and to ensure 0% damage to your goods or property. Brighton and Hove has a fantastic mix of architectural styles due to its rich history. These range from fisherman’s cottages in the Lanes and Regency seafront squares, to the colourful terraces of Hanover and Poets Corner. While these historic homes form an integral part of the city’s (hilly) landscape, they can be notoriously tricky for manoeuvring furniture both in and out during a house move. With a High Reach Systems’ furniture hoist, our trained and insured operators can safely remove or install furniture, goods and construction materials in a matter of minutes. There are several new developments within Brighton and Hove, creating hundreds of new homes and offices at height, and there are several more in the pipeline, so there has never been a greater need for a local furniture hoist company in the city. Brighton and Hove also continues to be the most popular place to live outside the capital, with many people making the move down from London to the coast, so with our new London office, we can assist with your move at either end if need be. We have three different types of hoisting and platform systems which can raise bulky and heavy items to a maximum height of 27m, and a maximum weight of 400kg which is the equivalent of 6 washing machines or a baby grand piano! The platforms are fully extendable so there is no need to dismantle larger items which can exceed the platform size when loaded securely. Whatever you require lifting within these parameters, we will have the applicable external lifting system for you. 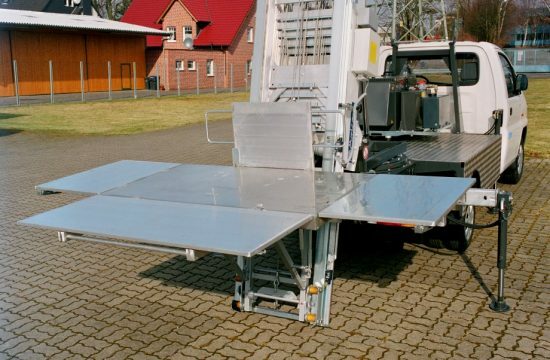 At maximum extension, the lifting platform can elevate goods in under a minute, so moving a greater quantity of goods is also manageable. Pallets of flooring, roof tiles and insulation, bathroom suites, fitted kitchens – the list is endless. Should a door or window frame require removal to provide access for larger items, our operators are also fully trained and qualified to replace, repair and make-good any work carried out. Many historic buildings within Brighton and Hove are Grade I or II listed and therefore protected, both inside and out. Using a High Reach Systems furniture hoist, you can rest assured that the internal and external plasterwork will remain untouched and un-damaged. Precious or costly items such as artwork or antiques can be moved safely so as not to be damaged within the corridors or stairwells, and for apartment buildings, using an external hoist also ensures the lift is kept free for the other residents. Should you wish to work to your own timescales, we also provide furniture hoisting equipment for self-hire. Our demountable self-hire hoisting systems are ideal for city environments where space is restricted. 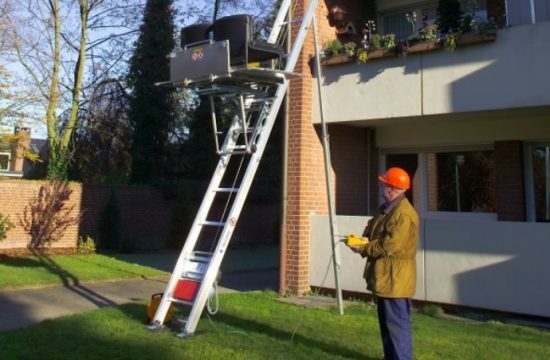 The aluminium platform hoists are portable and lightweight, so they are easy to use within narrow lanes and pavements, and they are stable, even on a grass surface. 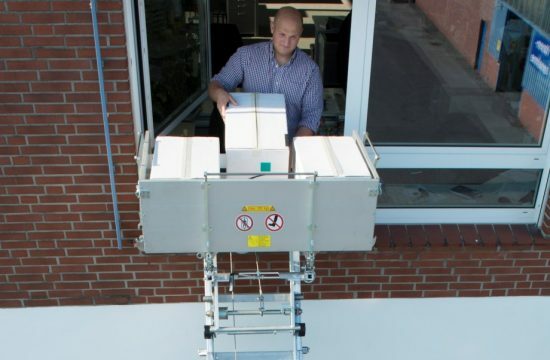 Our self-hire furniture hoist platforms can rise up to 18 meters, lifting weights of up to 250kg, making them ideal for smaller jobs at height. Calling all construction firms in Brighton and Hove – would you be interested in freeing up manpower, significantly reducing labour costs, and maximising daily work output? 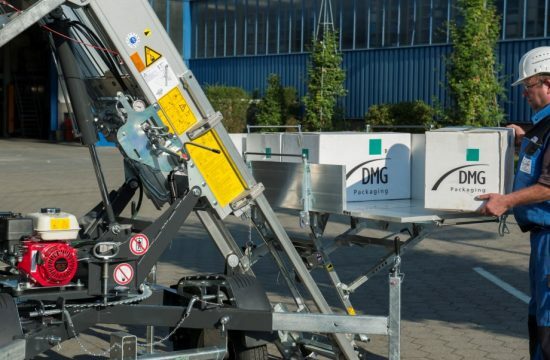 What began as a house removal solution soon evolved to support the construction industry in the city with the efficient, quick and cost-effective solution for lifting heavy goods to height. Scaffold poles and planks, machinery, building materials etc. can all be hoisted to upper levels in less than a minute. Please contact us today so we can discuss your furniture lifting requirements. Whether you are looking to move a single item or several, we are happy to help.